In the spring when we come to visit Amy’s parents she gets all juiced up! 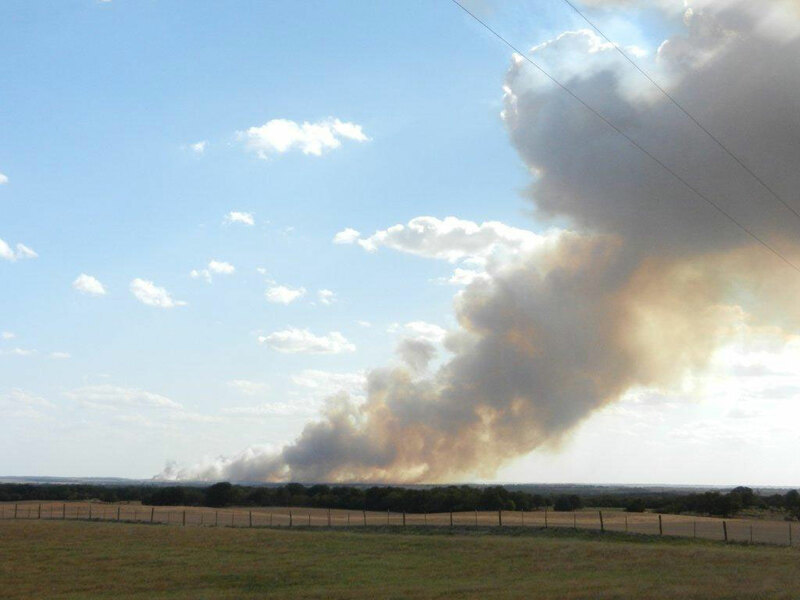 Because all the big ranches are burning their pastures off as part of their grass management program. So here’s a few pics! 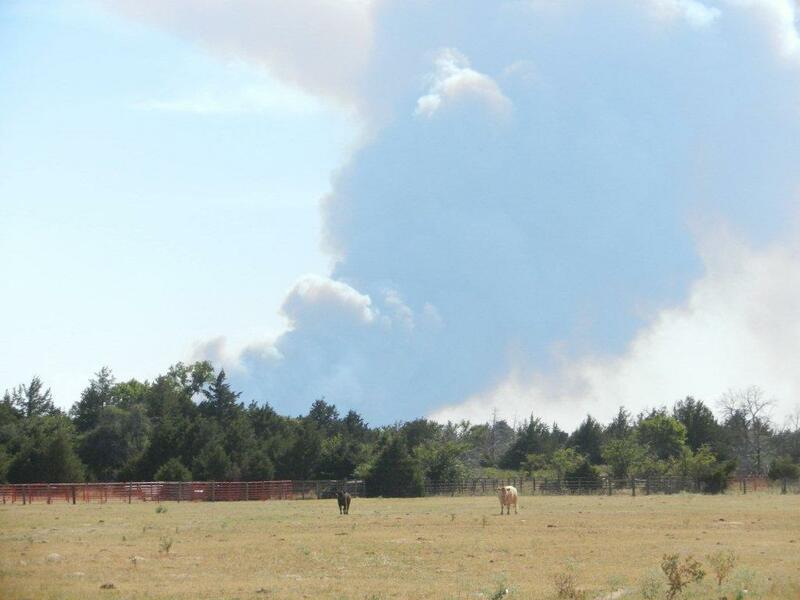 Pasture burning can be an important management tool for ranchers. The prescribed burning replicates natural prairie processes of renewal. Flames during a nighttime burn are visible for miles. A hay bale smolders after the Fisher family’s baler caught fire. We have had two equipment fires recently. I lost my round baler and the neighbor who sold me the baler lost his tractor. Both could have been saved if a good fire extinguisher had been available. When our round baler caught fire I panicked and couldn’t push the computer button twice in a row to get the bale out until it was too late. The local volunteer fire department from Slick did a great job with getting to us fast. Without them the fire would have reached the cornfield. The neighbor’s Kubota tractor caught fire while driving down the road. The gauges were jumping around and there was a burning smell, so the driver got off to look, and when he popped the hood he opened a fire ball. Two of my kids had just pulled onto the road to come home for lunch and called me. They were able to pull the baler away with their 4 wheel drive. Although the Fishers’ neighbor’s tractor burned, they were able to detach the baler. We still have our farms but it was a close call, too much adrenaline for me! Both were such sad losses, but nothing like what is happening right here in Creek County. Hundred of homes, barns, balers, tractors, hay and cattle were all destroyed by fires in the past few weeks. We appreciate our volunteer fire department that keeps a sharp eye out for smoke We are also stocking up on bigger and better fire extinguishers. The fire was dangerously close to the Fishers’ corn. The Fishers’ neighbor’s tractor on fire. We plan our work, and work our plan, but in a business in which we rely so much on the weather we have to be willing and ready to adapt our plan to overcome the obstacles that are placed in front of us at times. I tell the boys that everything we do is on purpose, even though at times it seems like we’re flying by the seat of our pants. The Webb family’s water truck. The boys and I bought some hose and fittings to make our nurse truck capable of fighting fire. We put together a 50 foot hose with a firemen’s nozzle that hooks to our transfer pump. We can carry 3,200 gallons of water and thought it would be wise to keep it full of water and in the barn to be ready at a moments notice. Fires are becoming much too common this summer. Clayton was able to take our truck to a couple of different fires Friday to help keep the tankers full that provide water for the fire fighter crews that were fighting fires close to a couple of places we farm. He and one of his cousins have provided water, moved hay, drug off cedars, and have helped out where they could these last few weeks. One of our local firemen said that when some slots came open that maybe he and his cousin might be interested in joining our volunteer fire department. I told him I think that would be a great way to serve our community. My hat’s off to the firefighters who so selflessly give of their time and energy to help keep us all safe. Cattle are the backbone of our operation so this summer definitely has us on edge. It is August 5th and the drought here in northwest Oklahoma is sure taking its toll. We continue to pray for rain. Our pastures are “crunchy” when walked upon. We still have a little green but brown is the more prevalent color. It looks like January when looking out of the kitchen window but definitely doesn’t feel like it when we step outside. Feeding hay to a set of cows. We began pulling calves off of our winter calving cows July 23rd. We weaned about 90% of the calves and took about 10% back to their mothers, we’ll leave them on until October. They were a little too young to wean at this point. Most of the calves we are weaning were born in December, January, and February. They’ll average 6 ½ months old and weigh around 550 lbs. Yesterday we weaned 2 out of 3 sets of our first calf heifers. Their calves average 5 months old and weigh about 400 lbs. Normally we don’t wean calves until the first of October but leaving them would take too much condition off their mothers, especially the first calf heifers. They only have 2 front teeth and are still maturing themselves. We generally always wean their calves a little early because of this. To compensate taking the calves off the cows, we ordered 4 loads of 14% protein medicated pellets from A&M Feeds in Stillwater. Clayton went and trucked them home last week and put them in overhead bins. We got enough to last through the end of September at which point we’ll assess our fall pasture outlook and either carry the calves over or sell them. At that point, they will be 60 days weaned and will bring at the top of where the market is then. I hope to have rye up 6 inches tall and all the wheat in the ground by then. If we do, we’ll plan to keep the calves and run them until January. Cows enjoying the hay put out for them. Even though they are turning brown, we have pretty good growth on some of our pastures but some are getting pretty short. 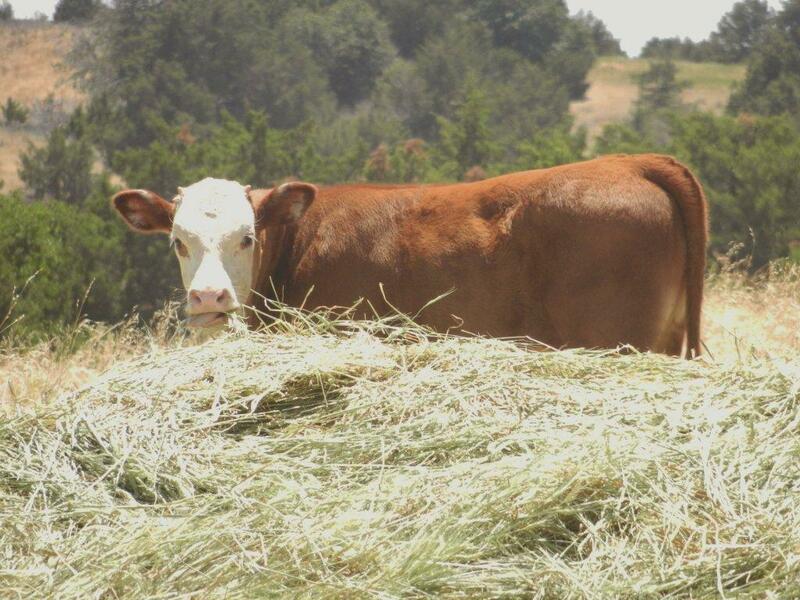 We have started feeding a little wheat hay to the cows on the short pastures. We also have some late spring calving cows that we won’t plan to wean calves from until November and we will also feed them some additional hay along with their protein supplement. 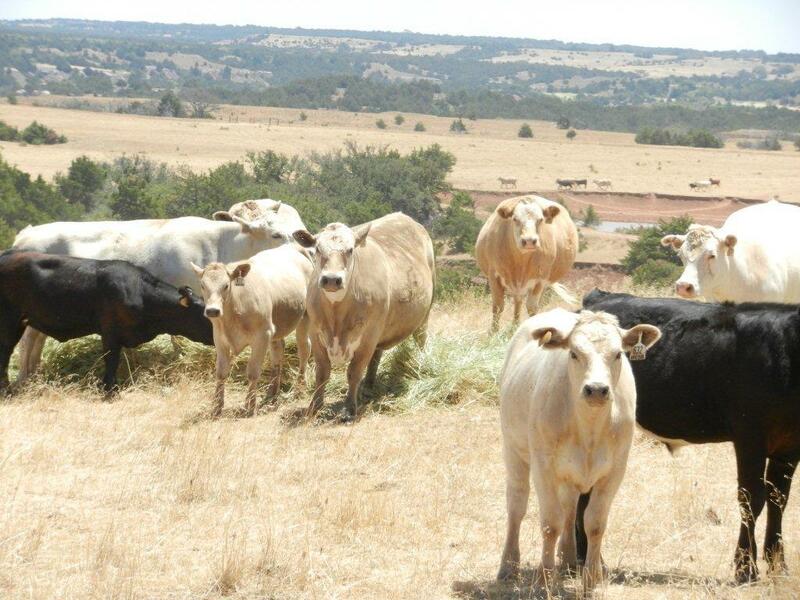 There is already a big demand for feed with the drought being so widespread. We took delivery on 2 loads of 20% protein cubes to feed our cows on the dry pastures, we had a little over a load in the bin but I don’t want to get behind. Last year the feed mills got about a month out on their feed. We might offer some liquid supplement on some of our pastures with good growth to keep the cows spread out. At this point, I have no absolutes. 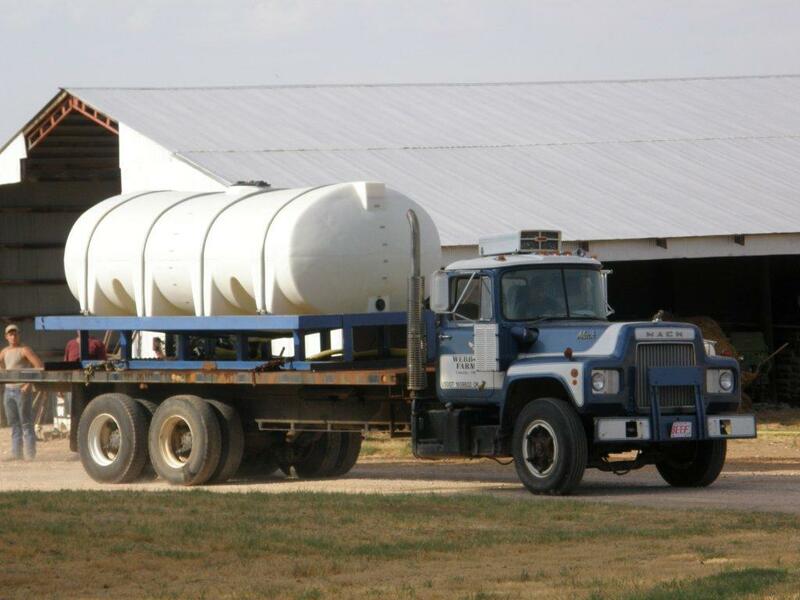 With optimism in the forefront, we started applying lime on about 500 acres of wheat ground. The ph in these fields was beginning to dip below 5. We are utilizing the grid sampling we did after harvest and are using variable rate application to shoot for a target of 6 in these fields. We applied lime on about 500 of our acres a year ago spring in front of some milo. On one of those fields, about 100 acres in size, we had the opportunity to run a grid sample for ph and variable rated the lime application which kind of helped nudge us over the hump to start grid sampling everything. On the other fields we just applied a general 1.75 to 2 tons of lime per acre field wide. We more than saved enough money putting the lime where we needed it to pay for the grid sampling cost on the mentioned field. I’m hoping by embracing the technologies and resources we have at our disposal that we will be able to be much more profitable in the end by better utilizing our nutrient inputs more efficiently. Our seed cleaner came and cleaned our seed wheat a couple of weeks ago. We have Duster and Bullet wheat varieties on hand to plant this fall. We’ll plant a couple more varieties to see how they’ll perform for us. We generally have 2 varieties on most of our acres and like to introduce 1 or 2 new varieties each year on limited acres to keep our options open. I’ve got a couple loads of Maton rye to plant on our rye acres. Fires have become too common. It’s hard to believe August is already here. Wade starts school Wednesday which is as early as I remember school starting. He has been lifting weights most of the summer for football and is anxious to begin practices. Clayton passed his written test a couple weeks ago and is now waiting to take his “check ride” to obtain his private helicopter license. He has worked hard and is ready to get this step behind him. He will then continue on with his commercial training. We bought a helicopter from a farmer in Kansas. It is identical to the 2-seater he has been training in. We crunched the numbers and decided it would be more cost effective in our case to own a machine instead of leasing one as he logs in hours of flight time towards his commercial license. We are converting a lean-to on one of our barns into a hanger to store the helicopter in. Cari continues to haul water to the trees around the house we planted last year. We decided on a drip system for the flower beds last year which has kept the flowers alive and beautiful during the hot, dry days. I hope the next couple of weeks finds all of us enjoying some much-needed rain. September’s getting closer so we know cooler temps should be on the way. So until next time, make every day a good day. Summer is definitely here. 100+ degree days are far too familiar and unfortunately more are on the way. I hope we’re not in for a repeat of last summer. I am so very thankful that we were able to get as much wheat and rye hay put up this year as we did. That will help immensely. We are getting quite dry here. We abandoned our plans to plant 450 acres of milo. I just didn’t think we had the moisture to risk the expense. We planted 140 acres of hay grazer and pearl millet for hay though. We got it in on June 11. It’s about a foot tall now and looks pretty good but is starting to show some stress due to the heat and lack of rainfall. Our grass is starting to lose its green. Some of it is starting to turn a little brown. I think we will wean the calves off the cows early like we did last summer because of the drought like conditions that appear to be setting up again this year. They are forecasting a chance of rain early next week. I hope and pray that we will receive a good rain. With things getting so dry, the threat of fires is becoming more prevalent. Clayton and I took two pickups and went to one of our neighbors farms about 10 miles away and helped him move about 150 round bales out of the path of a wildfire that started over the 4th of July. We arrived about 30 minutes after receiving the call for help and it was truly a blessing to find half a dozen other neighbors and friends already there helping to move his hay. Fortunately, he had his bales in stacks of about 50 with a separation between stacks. He lost one of the stacks to the fire but the others were spared.